Today, Google announced a major update to Google Play Music. The new update brings whole design and experience changes to Google Play music. From a card-centric design to a whole new interface built around album art, bright colors and vector graphics. 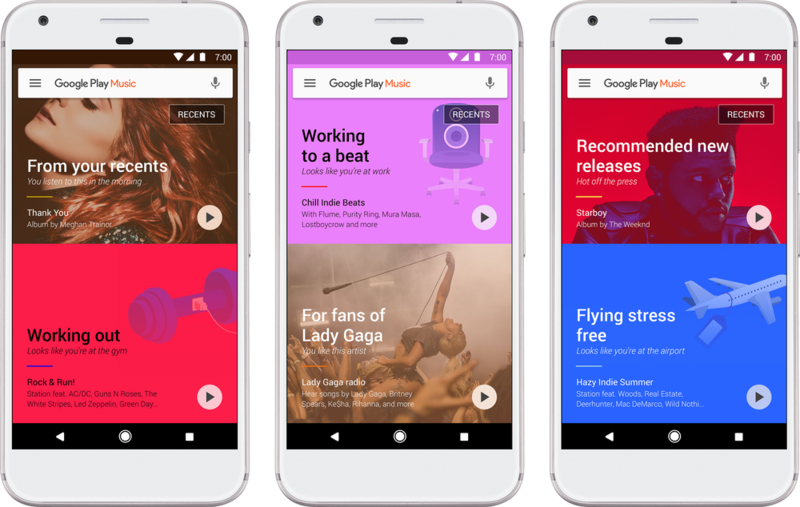 New Google Play Music home screen will work as your "personal DJ" and will be sensitive to where you are and what are you doing. Google Play Music will learn what type of music you like and listen to in specific places, times, activities. The new update is already out according to Google, but we haven't received any. Grab the new update at Play Store (when available).